The Under Armour Australia affiliate program is now live on the AvantLink Australia affiliate network. The program offers a 6% commission and a 30-day cookie on a brand with excellent international recognition and renowned athletic apparel and products. 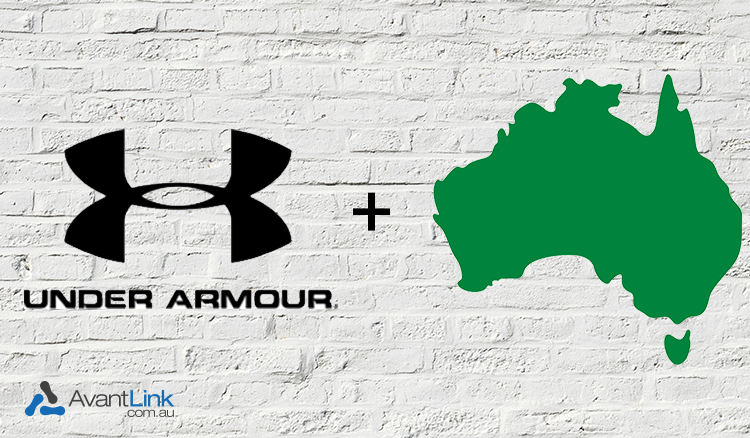 Besides being a top tier brand to offer an affiliate program, Under Armour’s launch on AvantLink Australia represents something much bigger. In a sentence, the Australian affiliate marketing landscape is hitting a point of critical mass. This comparatively untapped market has more promotional opportunities than ever before for affiliates who are willing to put in the work. The majority of you reading this are an affiliate for the AvantLink.com U.S. network. And for many, this simple fact may feel like a disqualifier for participation in a program like Under Armour Australia. But for most affiliates, a portion of their website traffic is international (including Australia), and that means a prime opportunity to serve those visitors country-specific ads. Read our article on identifying international traffic and how to serve country-specific ads to that audience. Then apply to join both AvantLink Australia and the Under Armour Australia program at the same time. If you are already active on AvantLink Australia, log in to your account and navigate to the ‘Merchants’ options. From there you can search for the Under Armour program and apply to join.